I am proud to announce that I have officially finished my first crocheting project. 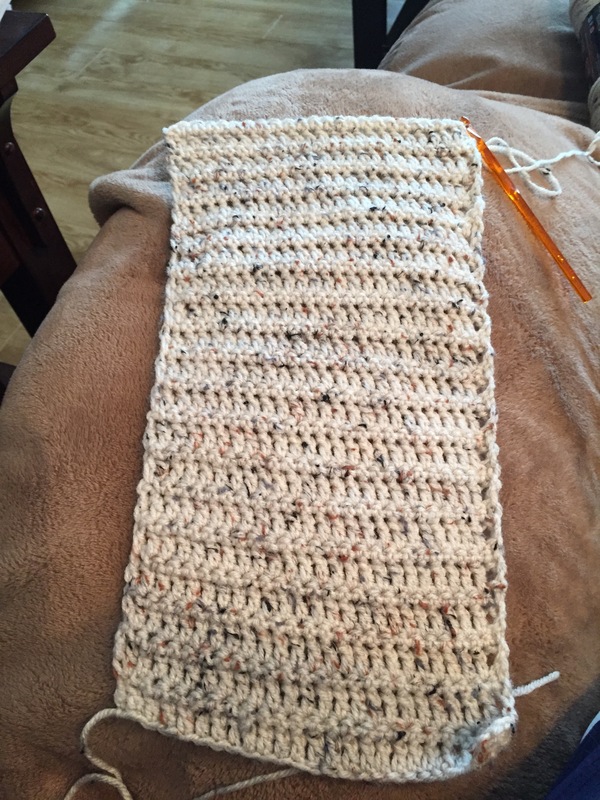 I decided to start with something easy so I tried my hand at making a scarf. I actually think that it turned out not to badly at all. I know that I accidentally dropped one stitch at the beginning, but I wasn’t too concerned about it as it is only my first attempt at crocheting. I didn’t really make much of a pattern in it as I was just working on learning the skill. This morning I have started on my second scarf. I have definitely increased my speed which I find exciting since it means that I will likely reach the finish mark sooner and be able to start another project. Perhaps a matching hat to go with my scarf. I think I enjoy crocheting more than knitting at this point. I find that I can work more quickly and I am able to stop in the middle of a row as it is really quick and easy to pick back up where I started. It also really annoys me to know that I am in the middle of the row when I put a project down. Perhaps that is a bit of obsessive compulsiveness. I do like the way that knitted projects look a little bit more as the stitches tend to lay more flat and look more organized. My next goal is to learn how to follow a pattern with crocheting. Perhaps my opinion on the look of crocheting will change when I acquire more skills with it. Which do you prefer, knitting or crocheting?